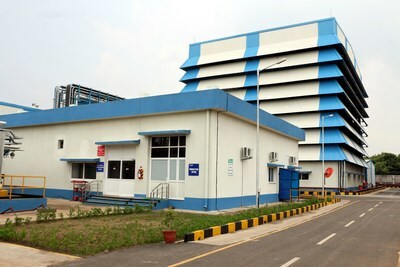 With state-of-the-art equipment, the plant employs the latest manufacturing techniques to ensure the highest levels of safety, quality and efficiency together with reduced production cycle times. This investment will enable Bostik to continue providing high levels of services to its growing customer base in the region. In the presence of local government dignitaries and customers at the official plant inauguration ceremony on 11 October 2017, Vincent Legros, Bostik CEO said, "We are very pleased to expand our presence in India and enhance our ability to serve customers in a market with significant growth potential. Geographic expansion and investment in lead technology platforms such as the hot melt pressure sensitive adhesives (HMPSA) manufactured here are central elements of our growth strategy." Bostik has been active in India since 2001 where it manufactures a range of adhesives and related products for the industrial and construction sectors. The new plant in India represents the latest milestone in Bostik's international expansion following recent plant openings and extensions in Malaysia, the Philippines and Sweden. Bostik is a leading global adhesive specialist in construction, consumer and industrial markets. For more than a century, it has been developing innovative adhesive solutions that are smarter and more adaptive to the forces that shape daily lives. From cradle to grave, from home to office, Bostik's smart adhesives can be found everywhere. With annual sales of €1.95 billion, the company employs 6,000 people and has a presence in more than 50 countries. For the latest information, visit http://www.bostik.com .